Chris Brokaw has been active as a solo artist and with many cool musical projects over the last 20 or so years, but most hip listeners will know him from his roles in two of the 1990s’ greatest underground bands: Boston blues-noir outfit Come, in which he played guitar, and New York slow-core pioneers Codeine, for whom he was the original drummer. On May 15, Brokaw will bring his six-string to the Spotty Dog Books and Ale in Hudson to make a supremely rare visit to our lucky region. One of, I confess, my favorite guitar players, Brokaw, these days based in Seattle, has been especially busy lately in the world of film music. His newest release is Now, Forager (Dais Records), the soundtrack to a so-named drama about, yes, wild mushroom foragers. 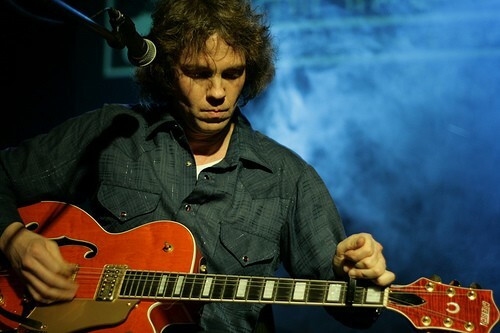 Chris Brokaw will perform at the Spotty Dog Books and Ale on May 15 at 8pm. Admission is $5. For more information, call (518) 671-6006 or visit http://www.thespottydog.com/blog/.